It can be difficult to know where to start looking when you need to order hard-to-find electronic components for your business or project needs. Perhaps you lack the manufacturing resources or networks to obtain the obsolete or rare parts you need, or maybe you have located them in insufficient quantities. Fortunately, there are professional, trusted electronic components distributors who are here to help you. Whether the parts you seek are obsolete, discontinued or just rare and difficult to locate, chances are there is a warehouse somewhere with exactly what you are looking for. An example of one of these electronic components distributors is IC Plus, with over 20 years in the industry and an excellent track record of connecting buyers, sellers and manufacturers for optimum results. We stock a large variety of components for every need, including integrated circuits, diodes, capacitors and more. And all products come from industry leaders with proven track records of manufacturing excellence, so you have the peace of mind in knowing you’re ordering from quality sources. Maybe you have no purchasing needs at this time, but instead find yourself with a quantity of surplus crystals or surplus resonators to sell. We also buy new and surplus electronic components and integrated circuits at the best prices in the industry. You can trust that your excess inventory will earn you a “top dollar” return on your investment with the best of the electronic components distributors backing you. With the option to sell your entire excess inventory upfront or to be set up on an on-location consignment arrangement, we afford you the choice to sell in the way that works best for you. If you’re looking to purchase hard-to-find or obsolete parts, we are the industry leader in parts procurement. With more than twenty years in the business, we have formed secure relationships with many internationally known leading parts manufacturers. 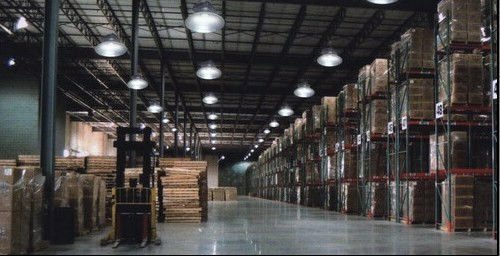 As one of the most established electronic components distributors in the business and with a new bonded warehouse facility, our stock is unbeatable. Our sales technicians are trained to help you get the best deals on the highest quality products, no matter what you are looking for. Our part-locator search tool makes it easy to find exactly what you need in our inventory, and our constantly increasing stock virtually guarantees that we have the obsolete, hard-to-find or surplus parts you are looking for. Whether active or passive components, we buy and sell a huge array of products representing the best the industry has to offer. If you need industry connections, manufacturing resources, or help selling your excess inventory, let one of the top electronic components distributors in the industry assist you in your mission and help you attain the absolute best possible price. Are you in need of rare or discontinued parts for your electromechanical projects or business needs? Do you lack the manufacturer connections to locate and order those hard-to-find items? Or, do you have excess inventory you need to sell for the guaranteed best price? At IC Plus, we do it all for you: buy your excess inventory, sell quality components at the best rates in the industry, and ensure that you get the customer service and support you need while managing your inventory. We have over twenty years of experience in the industry of electronic parts components distribution. That means twenty years of experience connecting, networking and trading with leading industry manufacturers. We buy and sell all types of electronic components, such as diodes, capacitors, transistors, integrated circuits and electro-mechanical devices. We specialize in hard-to-find and obsolete parts, and can procure almost anything for our clients. We also specialize in and sell surplus circuit protection. Because of our dedication to providing only the highest quality circuit protection components, we have become known throughout the industry. There are several types of circuit protection in which we specialize, including Network Protectors, Surge Protectors, Surge Protection Devices and Transient Voltage Surge Suppressors. Circuit protection works as a kind of insurance policy against surges and current disruptions caused by environmental factors such as lightning. Each works in different ways and is tailored to provide a specific type of circuit protection you need for your grid or spot network. A call to one of our sales technicians can help you with any questions you may have as you decide which solution works best for you. And because we sell surplus circuit protection on such a large scale to such a wide variety of customers, we have become one of the most trusted electronic components vendors in the industry. But we don’t only sell surplus circuit protection. We sell almost every electronic component under the sun. Our complete line card can be found on our website, where you can search for what you need by part type, part number or manufacturer. With partners such as Texas Instruments, Hewlett-Packard and National, we sell only the highest quality parts as we constantly update our lists of new arrivals and top-selling products. We make it easy for you to find what you need, whether what you need is to purchase a quantity of obsolete components or sell your excess inventory on consignment. At IC Plus, we sell surplus circuit protection, buy excess inventories of diodes and capacitors, and everything in between. We are constantly growing our enormous stock of electronic components and look forward to making you our next satisfied customer. One of the most recognized names in the semiconductor business is National Semiconductor, founded in Connecticut in 1959. The company specializes in the manufacturing of analog devices and subsystems. Their product lines include everything from audio and operational amplifiers, to display drivers, to power management circuits. National Semiconductor’s sales markets include a wide range of consumer industries from wireless handsets, to electronics, to medical, to automotive and industrial markets. Their annual reported revenue of $1.42 billion in 2010 helped them garner the interest of giant digital processor supplier, Texas Instruments. Texas Instruments bought National Semiconductor in April 2011 for $65 billion. The deal makes Texas Instruments one of the world’s largest makers of analog technology components. Currently headquartered in Santa Clara, California, National Semiconductor manufacturers a wide range of electronic components including, analog circuits (operational amplifiers, buffers, comparators, integrated circuits, regulators and voltage references), audio circuits, microcontrollers, network products, data converters, interface circuits, display technology, temperature sensors and simple switchers. With its proximity to IC Plus and its wide selection of semiconductor and electronic components, it’s no surprise that IC Plus sells a wide ranging variety of surplus National Semiconductor products online. If you are an electronics component company looking to buy National Semiconductors electronic components online, consider IC Plus. IC Plus is your best option for finding Surplus National Semiconductor components. I C Plus is the industry leader in selling semiconductors online. IC Plus has an easy-to-use and electronic parts database that allows you to search and find the specific semiconductors you are hoping to buy. IC Plus, not only provides one of the best quality service approaches to obsolete and hard to find component procurement, we also provide a wide array of services. And once you find the semiconductors you are in the market for, IC Plus has the capability, in most cases, to ship your product to you the very next day. So if you’re looking to buy semiconductors online, you can’t go wrong contacting IC Plus to buy National Semiconductor components. IC Plus guaranties all the products it sells. If you buy semiconductors online from IC Plus and aren’t happy for any reason, we will offer you a 30-day, money-back guarantee on your online order. If you are an electronic components company with excess National Semiconductor products in your inventory, consider selling your semiconductors online through IC Plus. IC Plus is happy to offer you the best prices for your surplus National Semiconductor surplus inventory. Our painless transaction process offers you a number of ways to sell your surplus semiconductors through lot purchases, on-site consignment or off-site consignment. So if you are looking to sell your semiconductor surplus to make room for your new inventory, selling to IC Plus is a simple way to rid yourself of excess inventory. IC Plus also offers options for you to keep your surplus semiconductor inventory at your own site while we use our extensive network of electronic component buyers to find suitable buyers for your surplus National Semiconductor products. It is the fastest growing of any silicon-based transistor technology because of its use in computer microprocessors. 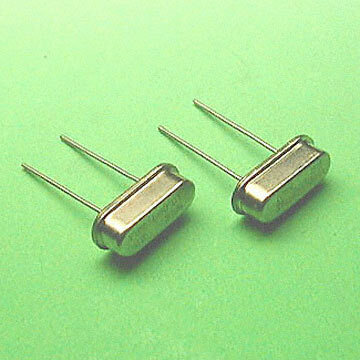 MOSFETs (Metal Oxide Semiconductor Field-effect Transistor) are used for amplifying or switching electronic signals. The principles behind the MOSFET transistors go back to the early 1920’s when it was first patented. By the 1950’s, Bell Telephone tried to patent a similar transistor and found a patent already belonged to Julius Edgar Lilienfeld, whose patent covered all types of transistors. A deal was reached where Bell Labs version was given the name, Bipolar Junction Transistor, or simply Junction Transistor, and Lilienfeld’s design took the name, Field Effect Transistor. MOSFETs are used in both digital and analog technologies. The “metal” in the name is a bit misleading as these days, as the materials used in MOSFETs are no longer aluminum, as was used up until the 1970s, but silicon. Today, the rapid growth of the technology has made it harder to find the MOSFET you might be in the market for because as soon as they come out, they can be as quickly rendered obsolete. Luckily, there are a number of place you can go to buy MOSFETs online. Vendors buy and sell used and surplus MOSFETs, that work just as well and are more affordable than buying MOSFETS straight from the manufacturer. If you are an electronics component company looking to buy MOSFETs online, visit IC Plus. IC Plus is the industry leader in selling MOSFETs online. IC Plus has an easy-to-use and electronic parts database that allows you to search and find the specific transistors you are hoping to buy, whether that’s digital or analog compatible MOSFETs. IC Plus, not only provides one of the best quality service approaches to obsolete and hard to find components, we also provide a wide array of services. And once you find the MOSFET you are in the market for, IC Plus has the capability, in most cases, to ship your product to you the very next day. So if you’re looking to buy MOSFET online, you can’t go wrong contacting IC Plus. IC Plus guaranties all its products, as each electronic component that comes to IC Plus is tested and reviewed through our 72 point review process. If you buy MOSFET online from IC Plus and aren’t happy for any reason, we will offer you a 30-day, money-back guarantee on your online order. If you are an electronic components company with surplus MOSFET inventory, consider selling MOSFETs online through IC Plus. IC Plus has a painless transaction process and offers you a number of ways to sell your surplus electronic parts through lot purchases, on-site consignment or off-site consignment. So if you are looking to sell your MOSFET surplus to make room for your new inventory, selling to IC Plus is a simple way to rid yourself of excess inventory. IC Plus also offers options for you to keep your surplus MOSFET inventory at your own site while we use our extensive network of electronic component buyers to find suitable buyers for your surplus MOSFETs. You may not know it, but throughout an average day, you are likely to come in contact with hundreds of semiconductors. Semiconductors are the building blocks of a myriad of today’s technology. They reside in everything we use on a daily basis, from your computer, to your cell phone, to radios. Semiconductors conduct electricity due to electron flow and are made of a variety of materials including silicon, arsenic, selenium and tellurium. The majority of commercial semiconductors manufactured are made of silicon. 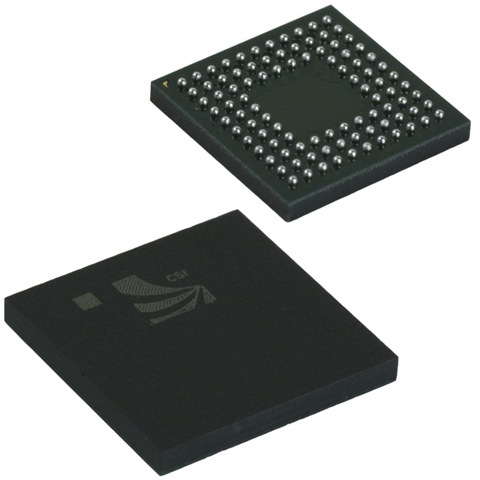 Semiconductor devices are electronic components that are manufactured as single discrete devices and as integrated circuits (ICs) which are made of devices manufactured and interconnected on a single semiconductor. There are a number of semiconductor devices out there that are classified by number of terminal devices. Two-terminal semiconductor devices are diodes, solar cells and laser diodes. Three-terminal semiconductor devices include silicon controlled rectifiers, thyristors and bipolar transistors. There are also multi-terminal devices like microprocessors and integrated circuits. Because semiconductors are used in almost every technology that consumers now own and use, it is easier than ever to buy or sell surplus semiconductors online. Today, you can find thousands of vendors that are buying and selling used and surplus semiconductors. The majority offer you warranties on the products they buy and sell. If you are an electronics component company looking to buy semiconductors online, consider visiting IC Plus. IC Plus is the industry leader in selling semiconductors online. IC Plus has an easy-to-use electronic parts database that allows you to search and find the specific semiconductors you are hoping to buy. IC Plus, not only provides one of the best quality service approaches to obsolete and hard to find component procurement, we also provide a wide array of services. And once you find the semiconductors you are in the market for, IC Plus has the capability, in most cases, to ship your product to you the very next day. So if you’re looking to buy semiconductors online, you can’t go wrong contacting IC Plus to buy semiconductors. IC Plus guaranties all the products it sells. Each electronic component that comes to IC Plus is tested and reviewed through our 72 point review process. If you buy semiconductors online from IC Plus and aren’t happy for any reason, we will offer you a 30-day, money-back guarantee on your online order. If you are an electronic components company with excess semiconductor inventory, consider selling your semiconductors online through IC Plus. IC Plus has a painless transaction process and offers you a number of ways to sell your surplus electronic parts through lot purchases, on-site consignment or off-site consignment. So if you are looking to sell your semiconductor surplus to make room for your new inventory, selling to IC Plus is a simple way to rid yourself of excess inventory. IC Plus also offers options for you to keep your surplus semiconductor inventory at your own site while we use our extensive network of electronic component buyers to find suitable buyers for your surplus semiconductors. Buying and selling semiconductors online has never been easier. In the world of electronic components, the fuse is kind of like the guardian angel. Its job is to protect the power system by preventing too much current from flowing through a circuit, which can lead to overload or failure. Anyone who’s ever overloaded their home circuit before with a hairdryer or other powerful electronic device has probably “blown a fuse.” What’s happening in that case is the fuse has interrupted the overload of power current and prevented damage and possible fire, by shutting down the system. The fuse dates back to the mid-1800s when it was first invented. It was later patented, with the help of Thomas Edison, as part of the electronic distribution system. So how does a Fuse work? A fuse is mounted between electrical terminals and carries the current of power through a protected circuit. If the current of power is too high, the element in the fuse rises in temperature and either melts or joins with the fuse, opening the circuit. When the metal conductor opens, an electric arc is formed between the un-melted ends of the element. The arc grows until the voltage required to sustain the arc is higher than the available voltage in the circuit. Fuse elements are made of alloys with predictable characteristics like aluminum, copper, silver or zinc. Fuses come in different voltage ratings such as 120V or 230V. The voltage rating has to be the same or larger than the open circuit voltage to work correctly. The International Electrotechnical Commission creates standards that unify a number of national standards of fuses, which help improve the interchangeability, along with the buying and selling of fuses around the world. In North America, low-voltage fuses to 1kV AC rating are made in accordance Underwriters Laboratories (UL). There are a large array of fuses out there. Thermal fuses are the kind most often found in consumer products like hair dryers, electronic devices and even coffee makers. 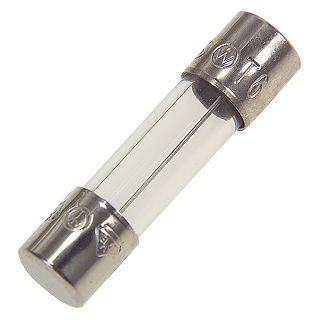 The thermal fuses are non-resettable devices that cannot be used again once they are “blown”. Resettable fuses make use of a thermoplastic conductive element that is self-resetting. When the power current is removed, the device will cool and go back to low resistance. 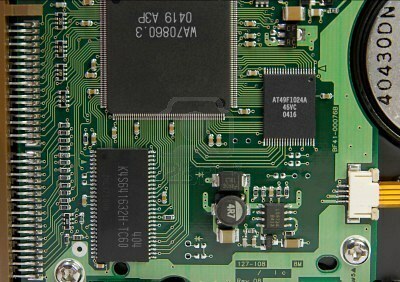 These types of resetting fuses are mostly used in computer components so that if a mouse or keyboard shorts, it doesn’t affect the motherboard. Resettable fuses are also often used in the nuclear and aerospace industry. If you are looking to buy or sell surplus fuses, IC Plus offer the best selection out there. For more than 20 years, IC Plus has been the leading buyer and seller of surplus fuses for all your electronic component needs. IC Plus, not only provides one of the best quality service approaches to obsolete and hard to find fuses, we also provide a wide array of services. And once you find the fuses you are in the market for, IC Plus has the capability, in most cases, to ship your product to you the very next day. So if you’re looking to buy fuses online, you can’t go wrong contacting IC Plus to buy fuses. With IC Plus, you don’t have to ever worry about buying surplus fuses that don’t work. IC Plus follows strict guidelines and has a rigorous 72 point inspection process that our team goes through with every part that comes through our facility. The best part about buy fuses from IC Plus is that if you aren’t completely happy with your fuses, we offer a 30-day money back guarantee. On the flip side, if you are an electronic components company with a surplus of fuses, IC Plus can buy your excess inventory through a lot sale or consignment. That means, you free up room in your warehouse and provide surplus fuses and electronic components to us. IC Plus offers you great deals so you can be assured that you will get a return on your investment when you sell your fuses to us.